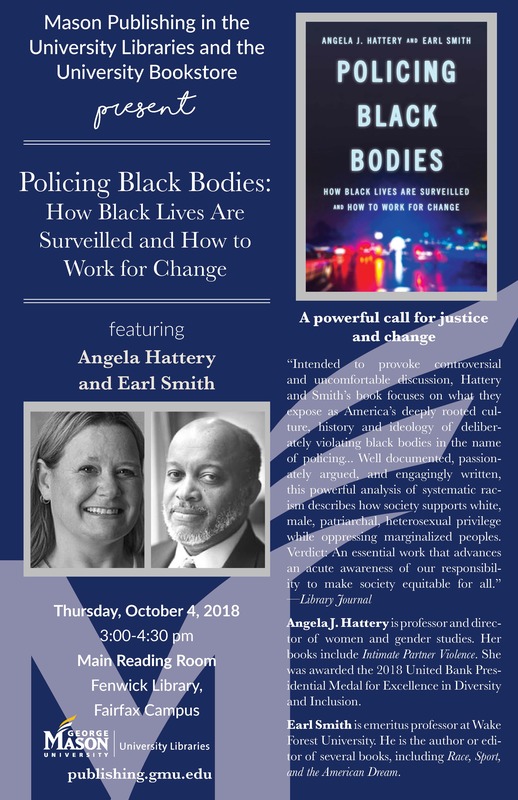 Angela J. Hattery, Professor and Director, Women and Gender Studies, and Earl Smith, Adjunct Faculty, Sociology will discuss their book, Policing Black Bodies: How Black Lives are Surveilled and How to Work for Change. In Policing Black Bodies, the authors make a compelling case that the policing of Black bodies goes far beyond individual stories and isolated incidents of brutality. They connect the regulation of African American people in many settings, including the public education system and the criminal justice system, into a powerful narrative about the myriad ways Black bodies are policed. Refreshments will be provided. The Mason Author Series is co-sponsored by the University Bookstore. Online courses have surged in recent years, making online teaching an inevitable part of higher learning. While convenient for students and faculty, the lack of facetime can be a challenge. 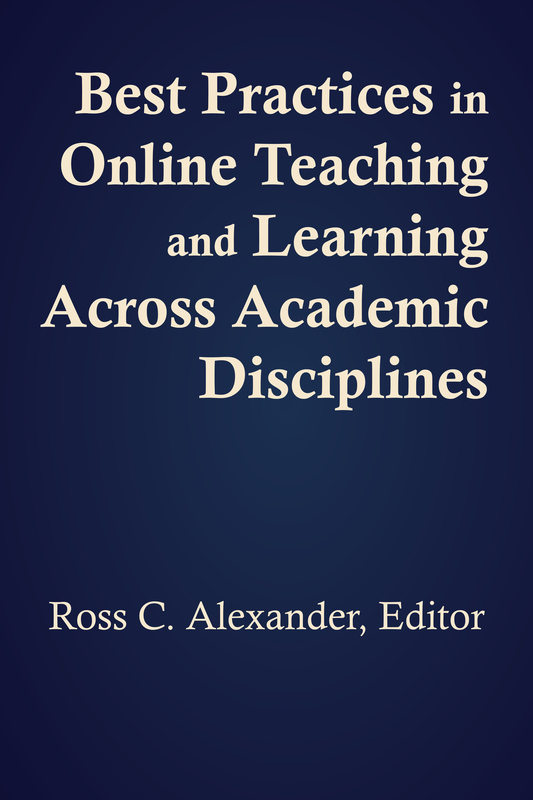 Best Practices in Online Teaching and Learning Across Academic Disciplines (George Mason University Press, 2017) explores strategies for online teaching with an emphasis on distinct approaches for different academic disciplines. The book offers innovative, practical and successful teaching tools from Indiana University East faculty in a wide range of disciplines designed to keep students engaged. Best Practices covers online teaching and learning with a three-fold approach. Each chapter discusses and analyzes best practices and pedagogical approaches for online teaching. Attention is also given to instructional design and delivery, useful for course designers or academic administrators. Finally, the authors provide applicable and proven techniques that can be integrated into online courses across more than 15 disciplines. The first and largest section of Best Practices opens with chapters for the Humanities and Social Sciences. Faculty across these disciplines, from English to Psychology, break down innovative and actionable teaching tools you can use for online teaching. 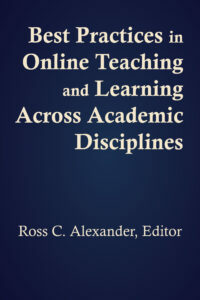 Editor Ross C. Alexander notes, “Three chapters in particular—chapters three, seven and nine, dealing with composition, foreign languages, and drawing—may be of particular interest as they showcase disciplines that one may not typically associate with online teaching and learning, but are effectively taught using approaches and techniques described here” (Best Practices in Online Teaching and Learning Across Academic Disciplines, page 5). The second section focuses on the natural sciences and mathematics. While these disciplines may also not be commonly associated with online instruction, the authors of these two chapters share why laboratory instruction online can be superior to a traditional, face-to-face model. The third section handles professional programs, including education, economics and finance, and nursing. While online teaching is fairly common at the graduate level, these chapters zero in on these programs at the undergraduate level, which may not see as much online education. Faculty will learn how to support students on their way to becoming teachers, business leaders, or nurses. With detailed examples, charts and rubrics, Best Practices provides faculty members the tools to design better curriculum and enhance online learning for their students. Edited by Ross C. Alexander. Paperback. 300 pages. George Mason University Press. $30. This book can be purchased from Amazon, or from your favorite independent bookseller. George Mason University Press titles are distributed by the University of Virginia Press. Introduction: Ross C. Alexander, Ph.D.